At Just4keepers we endeavour to get your order to you in the time frame stated below. However, I am sure you understand sometimes things happen outside of our control. 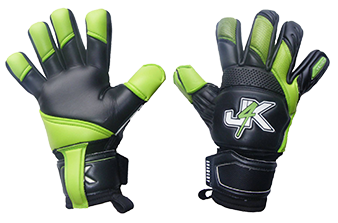 Please be rest assured if a product is late or lost that J4K will help you to the best of our ability but please be aware that once orders leave our warehouse, it is out of J4K hands and in the hands of the postal and courier services. However, simply CONTACT J4K and explain you have not received your item, and then leave the rest to us! If you ship your parcel to a business address, J4K cannot be held responsible if it is signed for by a person in your place of works and you do not receive your order. And or, if you opt for your driver to leave your parcel in a place of your chosing, for example, behind the bin, just inside back gate etc, and your parcel goes missing, J4K cannot be held responsible for this missing order. Please Note: When ordering, you will get emailed your tracking number so you can track your goods and if you supply a mobile phone number, you will get a Text message or Email soon as your parcel is collected you will receive hourly updates via Email or Text message. It is also important to note that some countries customs will ask for money before they deliver your goods. This potential extra expense is out of J4K hands and thus not J4Ks responsibility to pay these potential extra country customs charges. Please tick YOUR choice of shipping method/payment. If your tracking number is not emailed or you will recevie a text message by 4 pm, order’s will be collected at the end of the day once your parcel has been scanned onto the van you will receive a Text or Email stating your parcel has been collected. (Monday – Thursday): When ordered before 12pm. Please Note: J4K cannot be held responsible for any lost orders if you choose non tracked. When ordered before 12pm on the Friday.